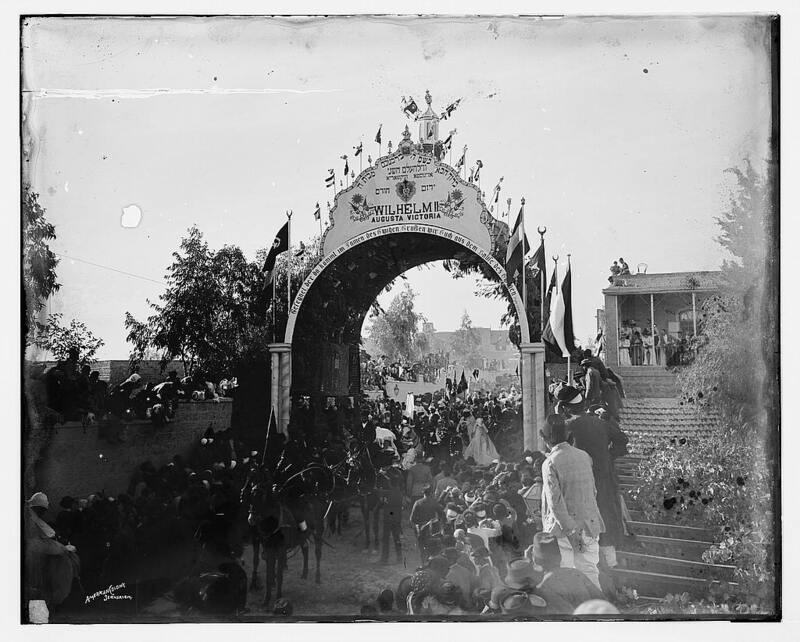 The German Emperor's arrival in Jerusalem on October 28, 1898 was a major news item around the world. 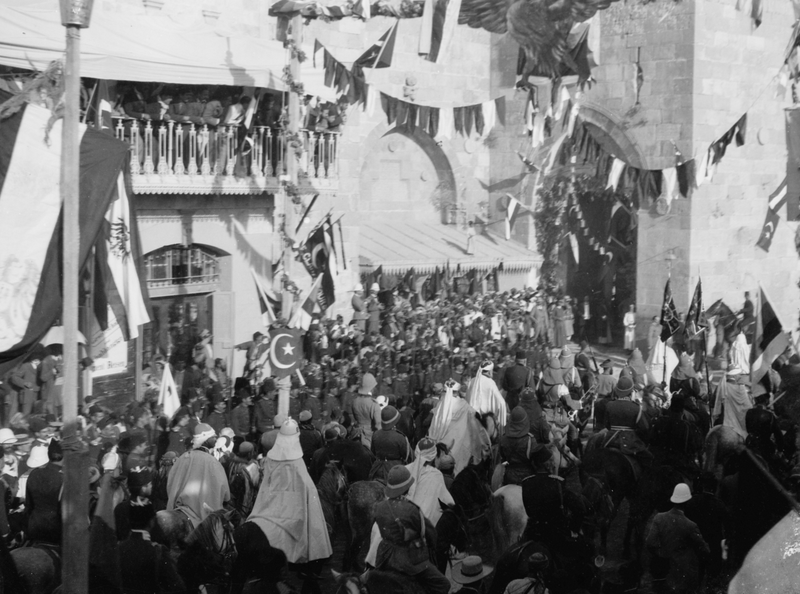 The Ottoman rulers of Jerusalem and Palestine changed the face of Jerusalem to receive him. Victory arches were built along his route, and the Old City wall was breached to allow passage of his carriage. And as the picture above shows, one shopkeeper closed his shutters. Why? 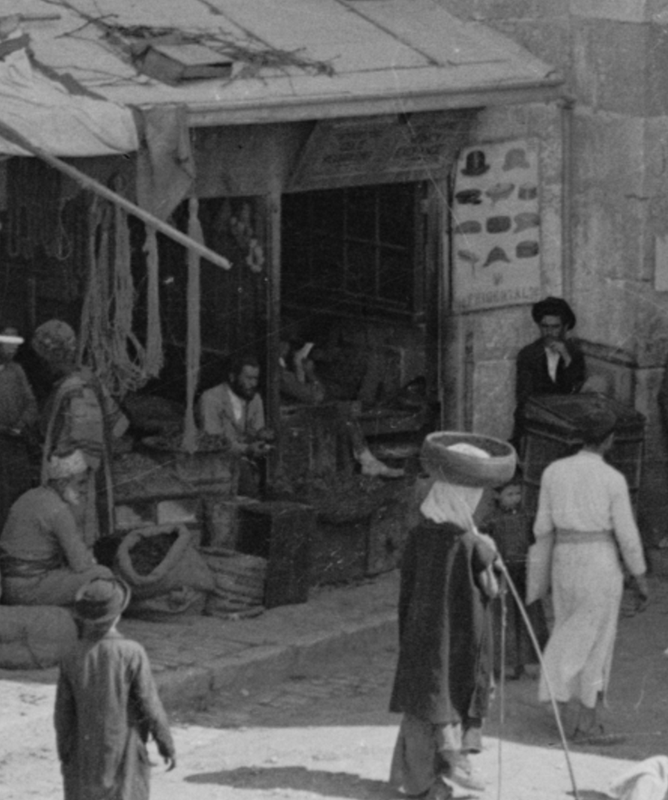 The day was Saturday, and as we discovered in a photograph in the Library of Congress archives, the shop was a Jewish-owned hat store. We enlarged that picture and discovered the shop and its clientele. A sign with Hebrew writing hung above the store. (Readers are invited to decipher it.) The owner closed his store for the Sabbath, and the Jews of Jerusalem received the Emperor elsewhere in the city. The Emperor and his wife passing under the Jewish community's arch on Jaffa Road. Colony in the world market. 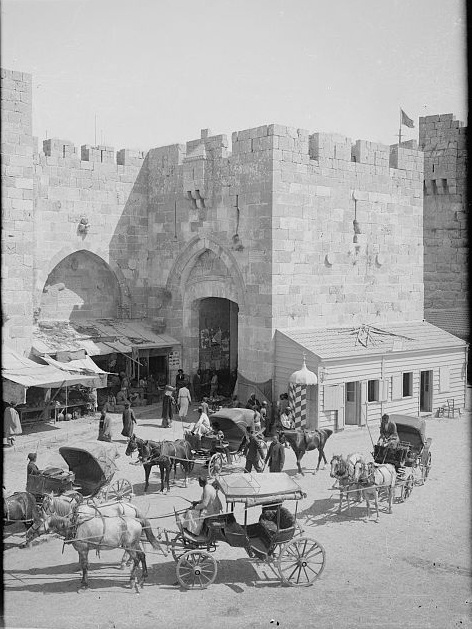 Below is the full Library of Congress picture of Jaffa Gate with the following caption: "Photograph taken before October 1898 visit of Kaiser Wilhelm II to Jerusalem when a breach was made in the wall near the Jaffa Gate. 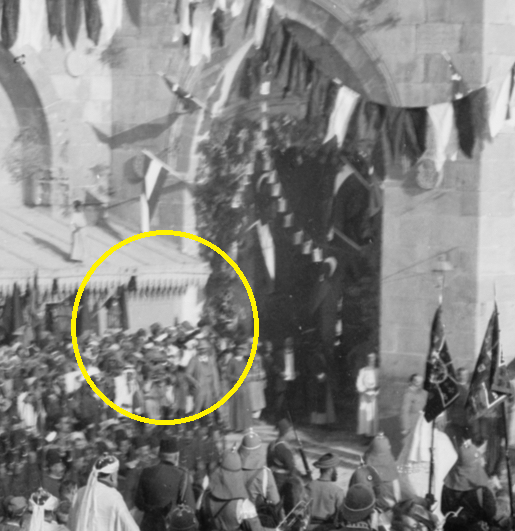 (Source: L. Ben-David, Israel's History - A picture a day.)" 1. You can see that the Enlarged photo of the millinery shop is part of the "Jaffa Gate and the Jewish shop (Library of Congress)". See the person seat at the left corner in 2 pictures as well as the person stand at the right corner. 2. If you look carefully on the shop and gate, you can see that the roof of the shop didn't touch the gate (is not reaching the open space of the gate) BUT in the Emperor passing picture there is something on the roof with different look, reach the gate and have some different finishing (zigzag). Some work was done not only on the gate but also on the shop.